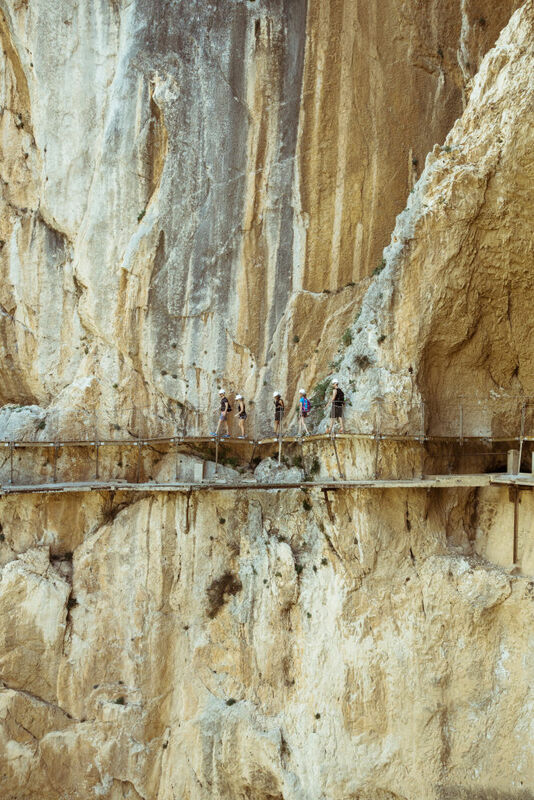 Walking the Caminito Del Rey in Andalusia. 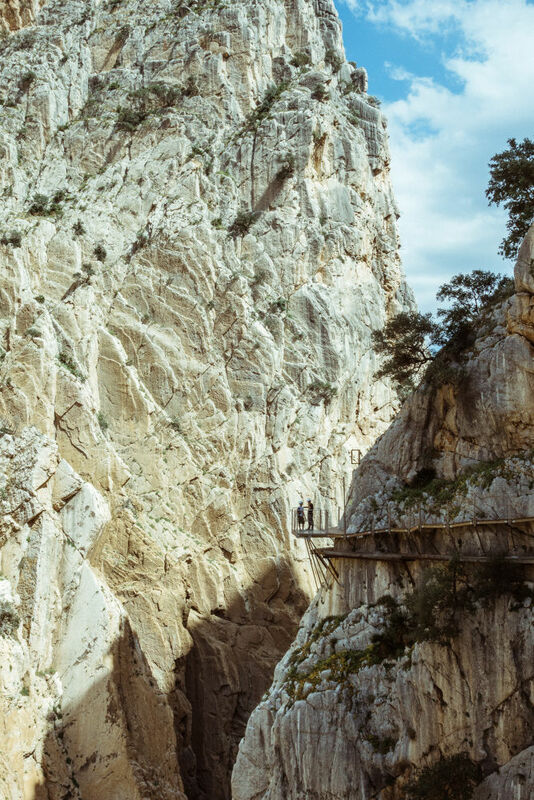 The Caminito Del Rey is a famous historic walkway in the Ardales district of Andalusia. It was built in 1901 to enable workers at the El Chorro and Gaitanejo hydroelectric works to move quickly between the two facilities. 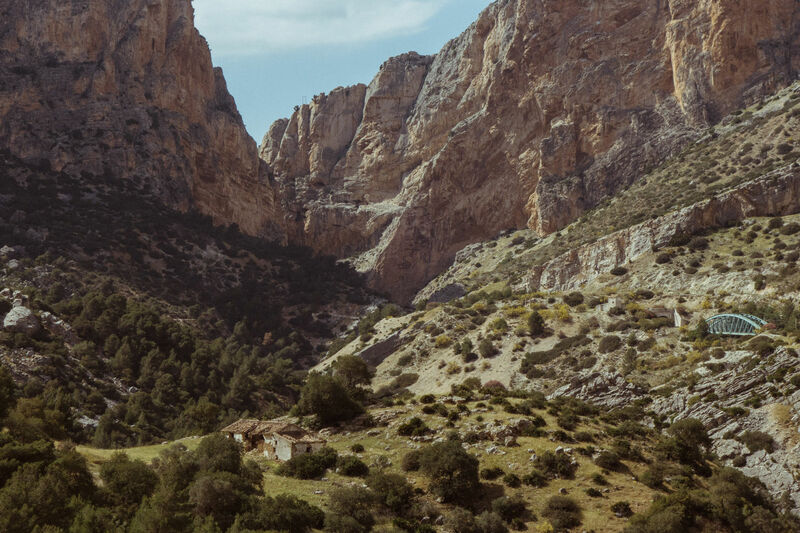 The route is dramatic, clinging to the vertical walls of the El Chorro gorge. 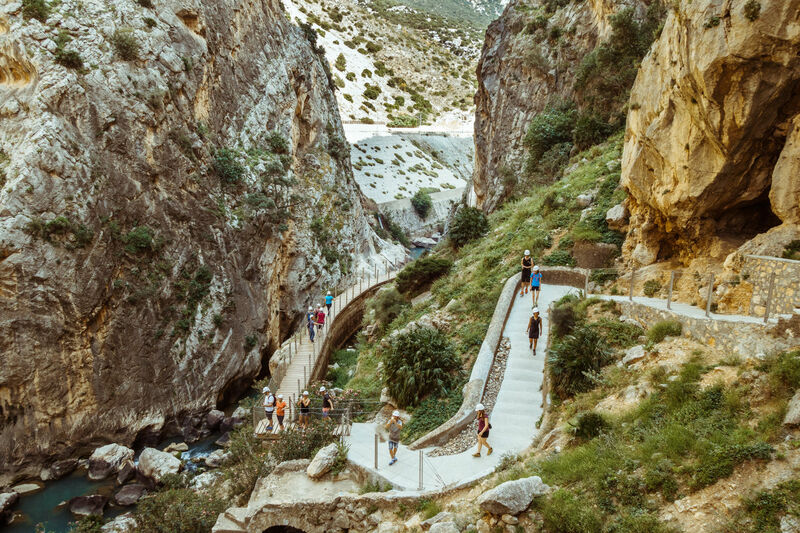 Walking the Caminito Del Rey has been on my bucket list for a few years, but the route was closed between 2002-2014 after a number of fatal accidents. The good news is that in March 2014, the walkway was reopened after extensive refurbishment. The approach to the trailhead is through beautiful pine forests. The mountains on either side are steep but there is no real warning of the dramatic scenario that lies ahead. 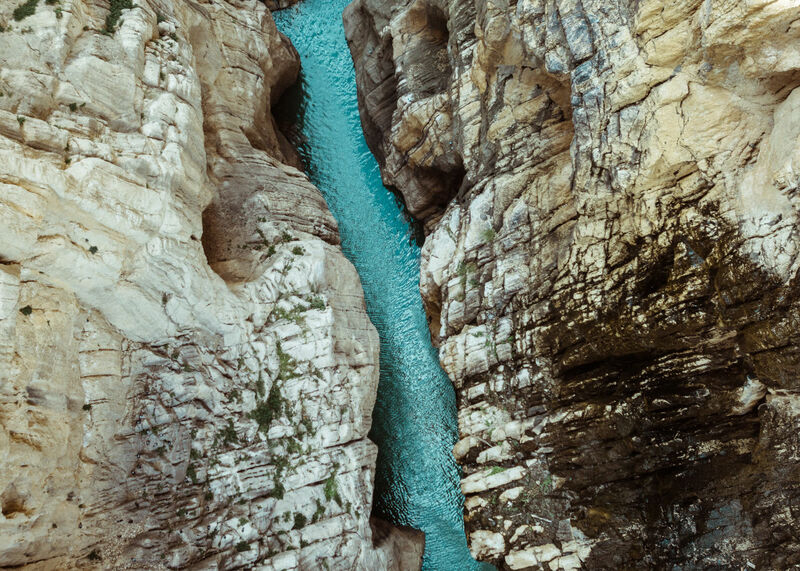 The colours in the gorge are really amazing – the orange and grey rocks contrast with the deep turquoise of the water. 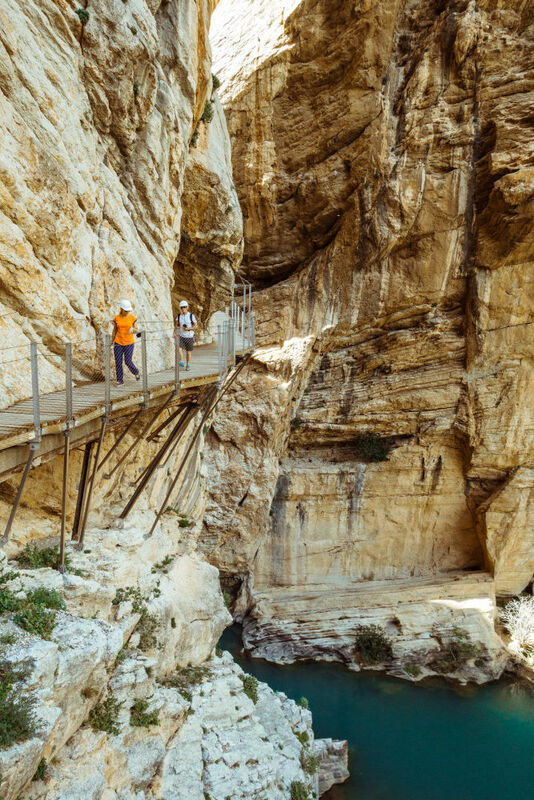 Midway through the walk, the gorge opens out into an expansive valley, surrounded by towering peaks. 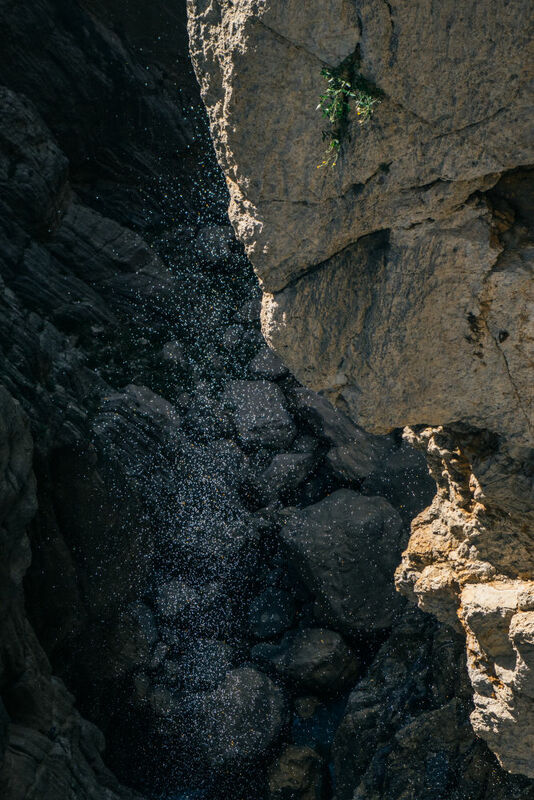 In the final section, some of the largest and most dramatic cliff faces are to be found. It’s useful to have a good head for heights on some of the stretches of walkway! It was definitely worth the €11 entrance fee, which included a free bus transfer back to the car park at the other end of the trail. I’d recommend walking the trail in the spring or autumn – the weather conditions will be more favourable for hiking. 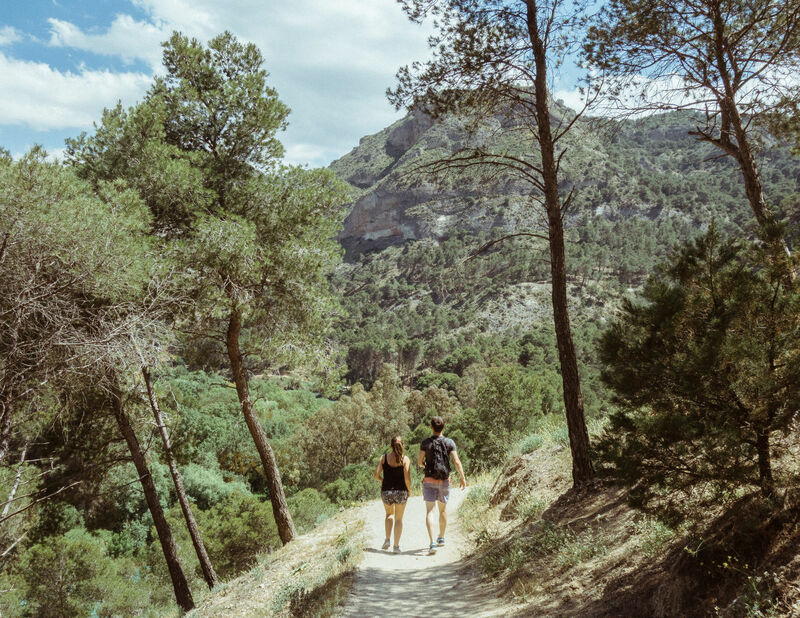 At the height of summer, the trail is sometimes closed to the public as the bulk of the trail is exposed to strong sunlight and high temperatures.